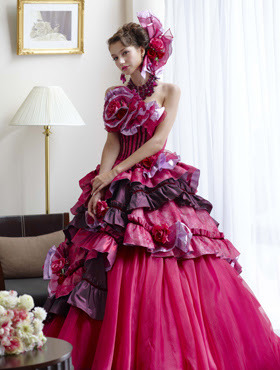 While browsing Japanese wedding websites, I noticed a trend towards wearing colored wedding gowns. 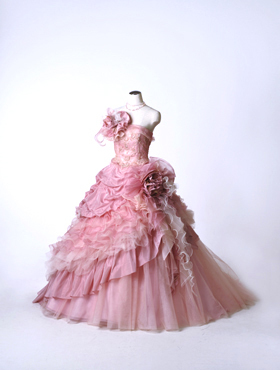 A wedding is about personalization after all so if you're an alternative or non-traditional bride, you might want to check out these gorgeous colored bridal gowns from Japanese wedding boutique Watabe Wedding. 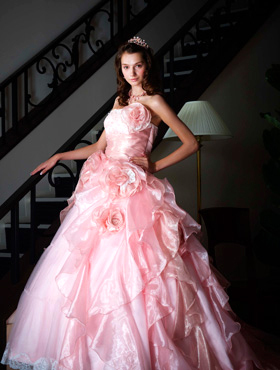 These colored Princess-line wedding gowns are chock-full of fun, flirty and romantic details such as frothy layers of ruffles, ribbons, rosettes and lace trim. See my picks from their collection below. 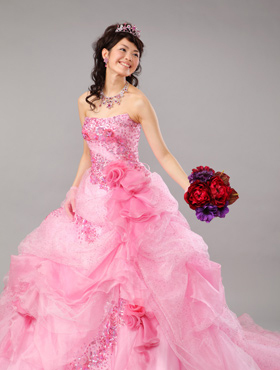 See more colored wedding dresses for your 2011 wedding at Watabe Wedding.